In the glorious of youth, skincare was simple. A little dab of moisturizer in the morning and at night and my skin looked good. Adding in some good nutritional choices and my daily water intake and I was batting a thousand. Through the years, life, kids, climates, and the overall getting older has changed the way I care for my skin. Gone are the days of a dab of moisturizer. Now, I seek products that can minimize the stretch marks, wipe away the dark circles and revitalize my tired self. Body Merry has three products that have helped me energize my appearance. Like many women who have had children or have fluctuated in weight over the years, stretch marks are here to stay. While these marks may be a badge worn proudly, they don't look the best in a swimsuit, tank top or other summer clothing. Even in the brisk, winter temperatures, the warm days of summer peak through the bleak dreariness. The Body Merry Stretch Mark &Scar Defense Cream can help smooth the skin and make these stretch marks less noticeable. Especially used during the dry winter months, he the cream nourishes my skin. From a more supple appearance, my skin looks refreshed and ready to take on those lazy, summer days. 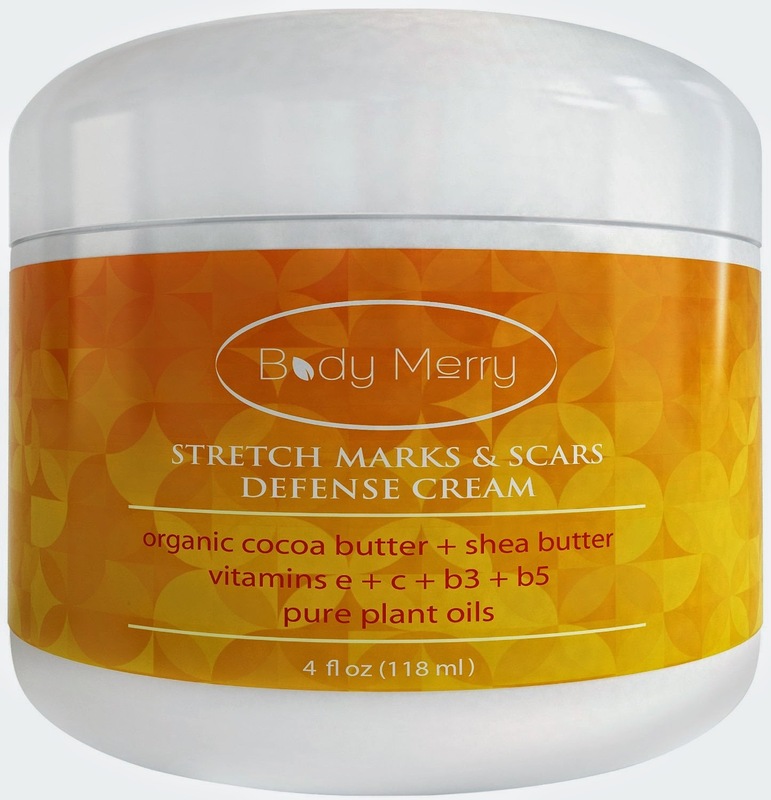 The Body Merry Stretch Mark & Scar Defense Cream contains organic cocoa butter and shea butter. These ingredients provide the extra moisture the skin. As the skin looks more hydrated, the stretch marks and scars appear less noticeable. While no skin cream can make me lose 20 pounds or turn me back to my 20s, these products by body merry make me feel and look confident in the person that I am today. Body Merry has an entire line of skin care. Other items, like the Hyaluronic Dew Serum and Age Defense Eye Cream. While using these eye and face during the dry, cold winter, my skin retained some of the dewy qualities that I appreciate during the warmer seasons. Overall, my facial appearance looked more awake and less haggard. The dark circles and fine lines were less noticeable over a period of time. For me, the results meant less cover-up make-up and more refreshed look. Instead of giving up and giving in to a tired appearance. Rediscover the youthful qualities that are ready to reappear. Body Merry can the boost that you’ve been wanting to discover. Disclosure: The writer received these items for purpose of this review. All opinions are her own and were not influenced by any person or entity.